Caution:Do not immerse the water pump in solvent. 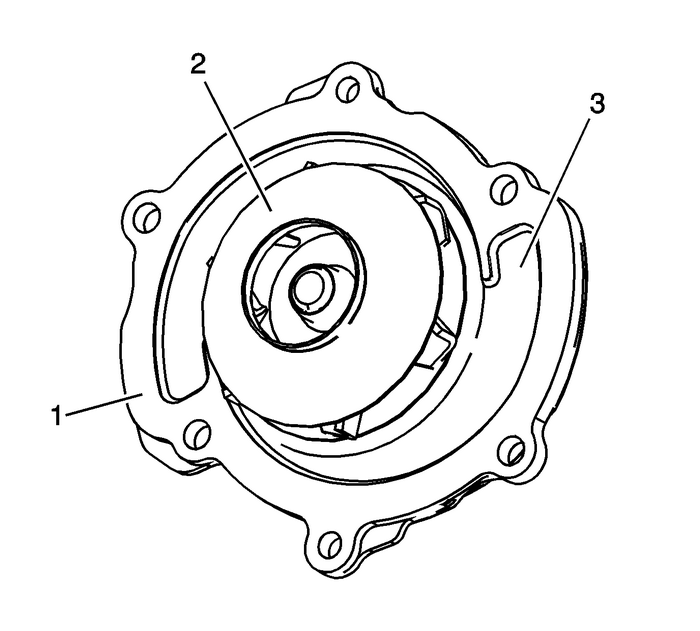 The solvent mayenter the water pump's permanently lubricated bearings and causepremature bearing failure. Examine the water pump shaft-(1) and the weep holereservoir-(2) in the water pump body for signs ofleakage. 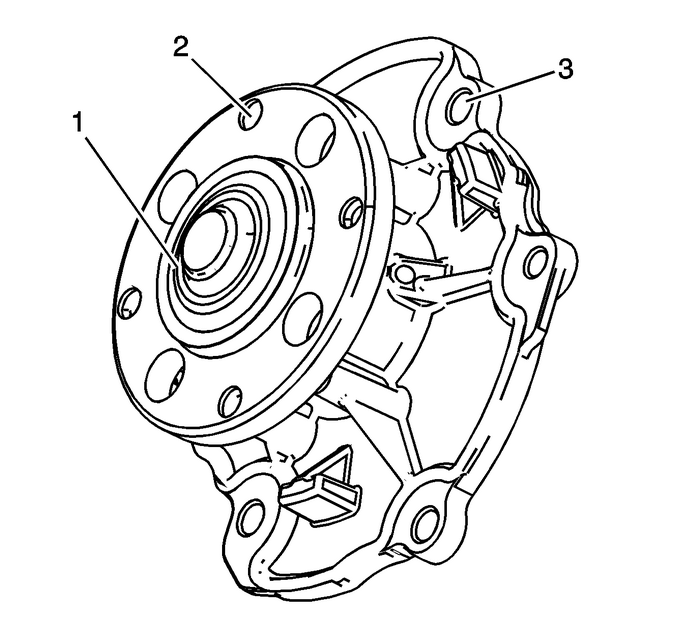 If coolant leakage is evident, replace the waterpump. 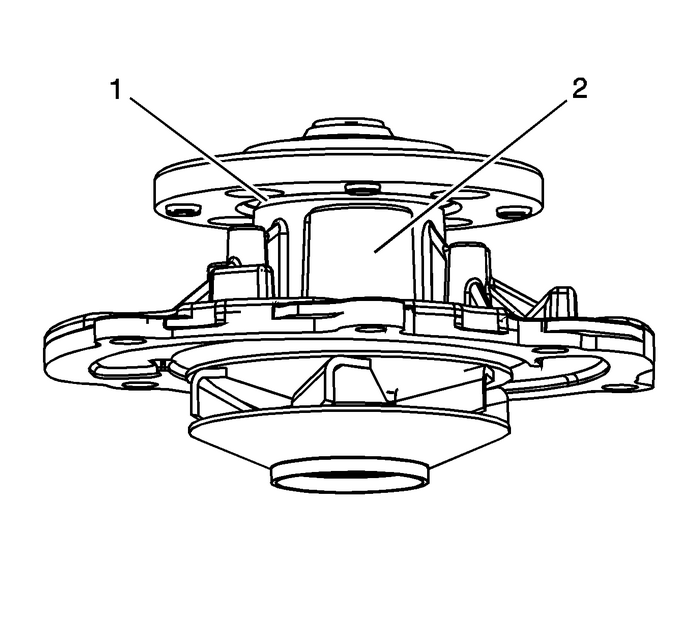 Inspect the interior of the water pump for thefollowing:Damage to the water pump gasket sealingsurface-(1)Damage, corrosion or restrictions to the water pumpimpeller-(2)Damage, corrosion or restrictions to the coolantpassages-(3)Repair or replace the water pump as necessary.